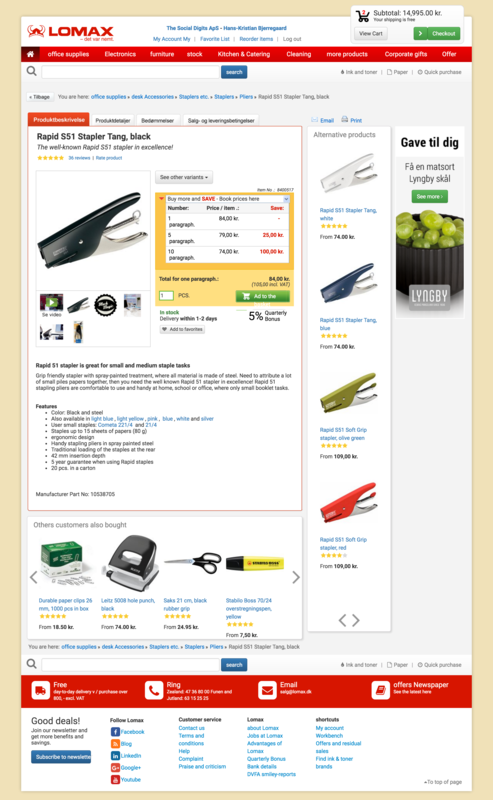 The product page is where you can let individual products shine by displaying product details and photos. Therefore it is important to make sure details are listed clearly, where possible include the following: name, picture, description, specifications, price and a clear call-to-action to place the item in the basket. The first type is useful if the customer is sure of their decision and the second is better if they are not. As you are unable to see which of the two camps the customer falls into, it’s a good idea to include both types of recommendations on the product page. Once you have your chosen recommendation slider(s), you can then decide on where to place them on the product page. You can either present them below the main product or to the side. There are pros and cons with both layouts. Placing them to the side, increases the chance that a customer will see them but showing them under product minimises distractions when the customer is focusing on a particular product. 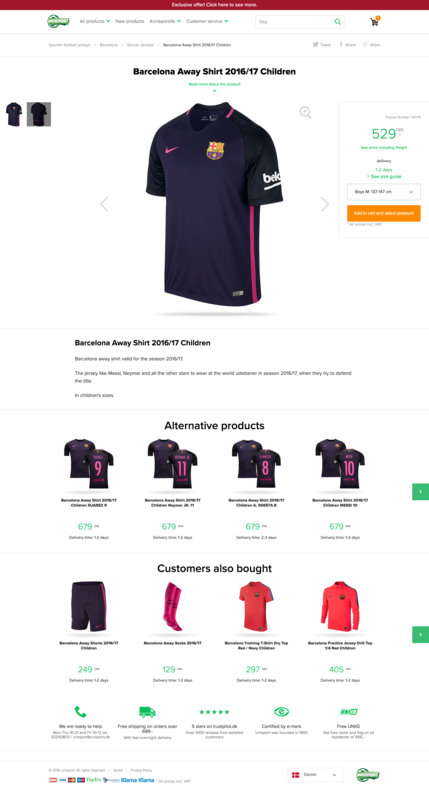 We recommend that you test out which layout works best for you, as it can be different for different webshops.